Our clients find out about Children’s Flight of Hope in a variety of ways. Sometimes, a parent finds us in their own research and reaches out directly. Many times, a hospital or social worker will refer a family to CFOH when they see a medical and financial need present. CFOH also works with other organizations that support critically ill and injured children, so they can refer many children they work with who need transportation assistance. One such organization specifically supports children in need of orthopedic surgeries and prosthetic devices. 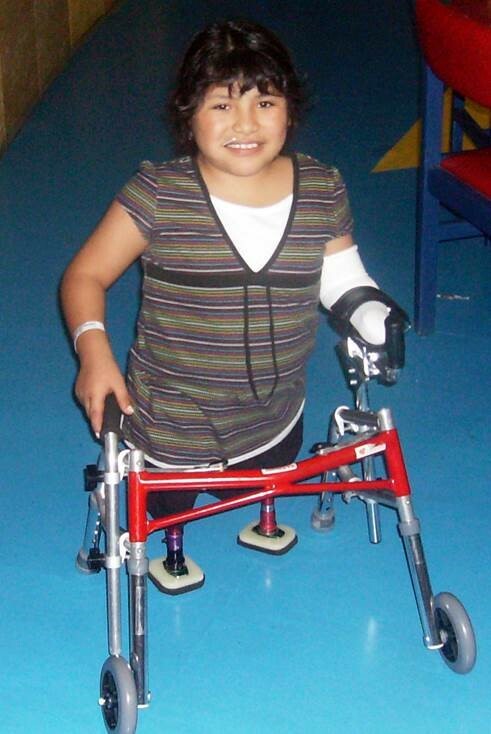 CFOH has been able to assist two children they serve, Luz and Veronica, with flights to Shriner’s Hospital for Children in Tampa, Florida, for specialized work on their prosthetic devices that they would not be able to receive otherwise. Both girls started their treatment in 2007, and will have to continue receiving care at Shriner’s Hospital until they are 18. Children’s Flight of Hope is proud to be able to provide air travel assistance to them for the remainder of their treatment. “I take this opportunity to thank all at CFOH for their kind attention and support for the past three months. We were extremely blessed to find the organization, and thanks to your support we have been able to continue to provide air transportation to two children and a parent/guardian, so they could continue their treatment schedules. Both girls, Luz and Veronica, who started this journey in 2007, will continue to come to Florida for appointments at Shriner’s until they become 18 years of age. Thanks to CFOH we can continue to help. The greatest reward for CFOH is hearing the stories of the families weve helped. They are stories of courage, of compassion, of love, and - most certainly - of hope.